'Pehla Pehla Pyar' is an upcoming Hindi entertainment tv show which is launching soon on Sony Television channel. 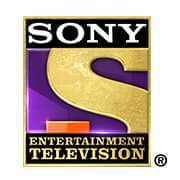 Sony Tv already getting lot of TRP with their show Pehredaar Pyaar Ki which is launched few days back. The show is produced by Shashi Sumeet Productions.A newbie Ashi Singh and TV actor Randeep Rai playing lead roles in the show. Chandresh will play Ashi’s father in the show. Sachin and Sanjay will depict Chandresh’s younger and elder brothers respectively while Abha will play Sanjay’s wife.